Grass Valley, a Belden Brand, will be at CABSAT 2019 (12–14 March) to showcase a wide range of products and solutions, leveraging the best innovation and expertise to give customers the ultimate selection and service. 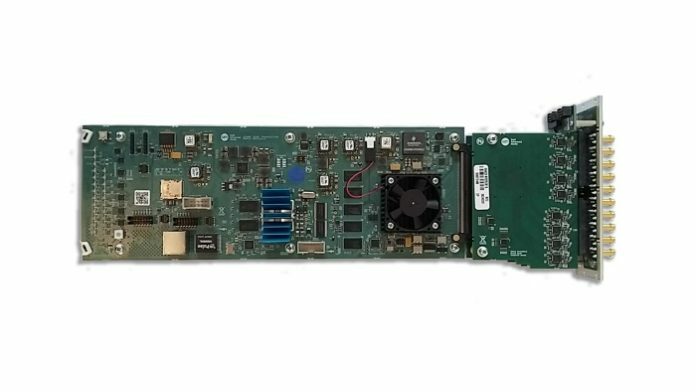 IQUCP Universal Compute Processor: The high-speed IP I/O with optional functionality at 4K UHD/3G/HD/SD rates that can be re-programmed as required. IQUCP allows users to deploy a single, high-density hardware unit that supports up to 16X 3G SDI BNC I/O ports, of which four can be 12 Gb/s direct ports. It can be reprogrammed for alternative use, requiring only a software change to reconfigure the system and eliminating the need for new hardware. MV-820-IP multiviewer: The only product on the market that delivers 48 IP inputs and 12 IP outputs in a 2 RU chassis. This high density I/O makes it ideal for a range of IP monitoring applications. Grass Valley IP control and monitoring: Delivers comprehensive configuration, control and monitoring of any media installation. The system can be customized to provide a high degree of automation and seamlessly integrates with other Grass Valley solutions, as well as associated third-party devices. GV STRATUS video production and content management: Offering a suite of tools with access from anywhere on any supported device, capturing content from a wide range of sources. GV STRATUS also places a premium on user generated content, integrating with popular social media and CMS platforms to manage, track and analyze the performance of social channels from within the application. Kula Production Switcher: Designed for the professional broadcast and AV markets, Kula offers a powerful feature set in a compact system for easy installation and operation. Available in several models: as a 1, 2 or 3 M/E switcher, with the capability of operating in SD, HD, 3G/1080p and 4K UHD, as well as a dedicated 1 M/E 12G-SDI or IP version. GV Korona K-Frame V-series: This system is designed for small to mid-range broadcast and media applications, where compromising on performance is not an option. GV Korona K-Frame V-series is available in three system packages, with 1, 2 or 3 M/Es and a complement of licenses, providing exceptional value and incredible power. LDX 86N RF head: The only wireless, shoulder-mounted 4K UHD RF head in the industry. It provides the freedom to get the shots you need while offering a single solution for transmitting HD, 4K UHD and HiSpeed HD over the same link — even simultaneously transmitting high-speed phases (up to 3X 1080p) with a separate 3G video channel. The LDX 82 Series: Consists of four models offering varying levels of operational flexibility to match every production need, with the ability to upgrade as production and business needs change. 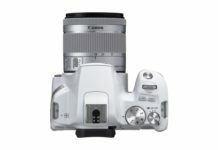 This includes extended color gamut supporting ITU-R BT.2020 and HDR operation with full 15 F-stops or >800% of regular cameras. The LDX C86N WorldCam: offers all the production formats of the LDX 86NWorldCam (HD/PsF/3G) plus a seamless upgrade path via GV-eLicense to native 4K (LDX C86N 4K). With the addition of BT.2020 wide color gamut support and optional HDR support, this versatile camera provides an outstanding solution for all HD/3G applications. LiveTouch replay and highlights: A complete replay and slow-motion system for studio and sports applications. It’s fast and easy to use, yet offers sophisticated highlight capabilities including integrated editing as standard. LiveTouch systems can scale to meet HD, 3G and 4K UHD productions of any size.